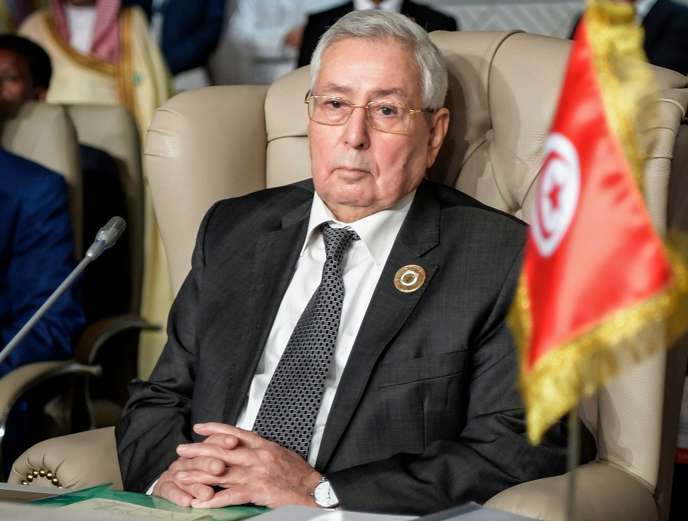 Algeria’s parliament has appointed on Tuesday the upper house chairman Abdelkader Bensalah as interim president for the next 90 days following the resignation of Abdelaziz Bouteflika. Bensalah who also concurrently serves as the President of the Council of the Nation, an office he has held since 2002, just three years after the beginning of the Bouteflika presidency, will run the North African nation until new elections are held, according to the country’s constitution. The appointment of Bensalah comes a week after the ailing president bowed to demands from protesters and the army to step down. Salah, in a statement last week, said the army would “support the people until their demands are fully and completely satisfied”. The Algerians did not wait until Friday to express their rejection of the appointment to the presidency of Abdelkader Bensalah. Immediately after the announcement of the Parliament’s decision, thousands of protesters took to the streets in Algiers and other cities to disavow the decision and say that the Algerians do not want the current system and its new incarnation, Abdelkader Bensalah. Posted by Khalid Al Mouahidi on April 9, 2019. Filed under News. You can follow any responses to this entry through the RSS 2.0. Both comments and pings are currently closed.